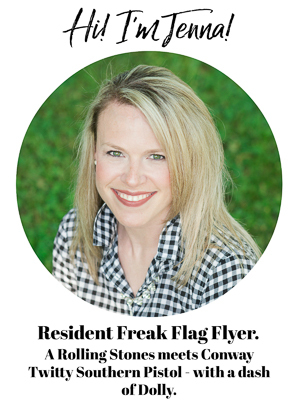 I absolutely adore cowhide rugs – I do come from a long line of beef farmers, remember? The problem is that cowhide rugs are expensive. 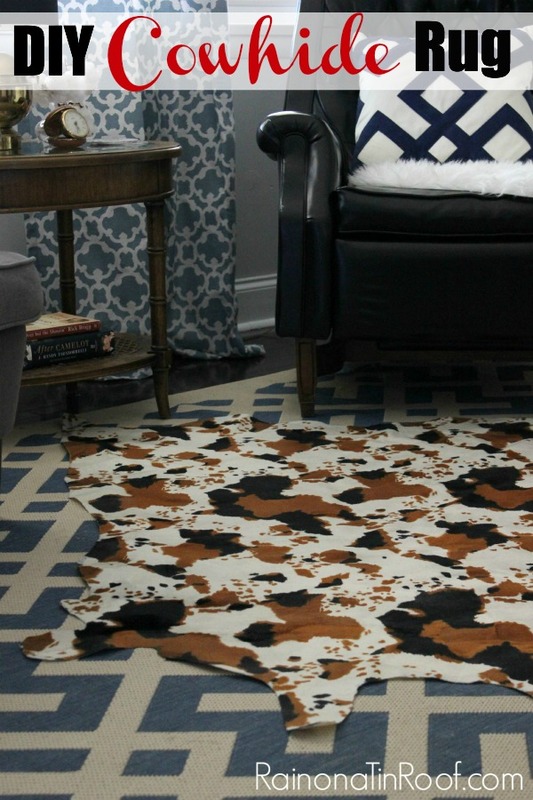 This DIY faux cowhide rug though, is anything but expensive. It’s easily made using faux cowhide fabric and the only other things you’ll need are scissors and polycrylic. I have been lusting after a cowhide rug for quite some time. The cowhide lampshade I made just wasn’t enough. I needed more. Honestly, I don’t know why I don’t already have one. As a girl who has spent the better part of her life around cows, how in the world I don’t already have my very own cowhide is beyond me. I have talked with my uncle about this problem, who is a cattle farmer. He has promised me that the next time a cow goes to the slaughterhouse, he will have them save the hide and we will tan it for a rug. Now that the whole world knows of his promise, I feel he must carry through on it. Don’t you think so? 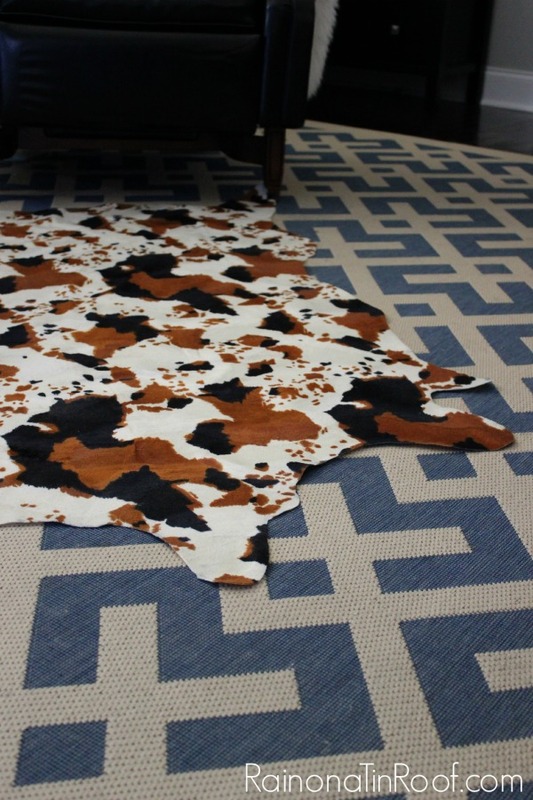 Talk about a great DIY post – tanning your own cowhide – that should be interesting. 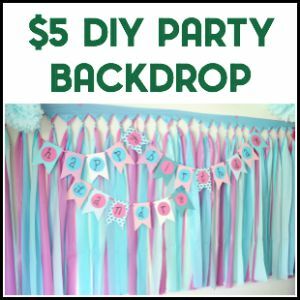 So, dear uncle, if you are reading this post, you are not off the hook just because I made a DIY version. For now, this faux cow rug will have to suffice. You may have spotted it in my Vintage Modern Rustic Living Room Tour last week. This post contains affiliate links for your shopping convenience. Click here to read my full disclosure policy. 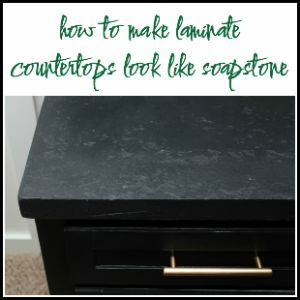 The tutorials I have seen for DIY any-type-of-hide rugs have required painting on the pattern of the hide. People, I can paint a wall, a piece of furniture, or faux moldings like nobody’s business. Freehand the pattern on a hide? So, when I had fabric left over from my cowhide lampshade, I saw the sign….. and it opened up my eyes. Did you catch that Ace of Base reference? 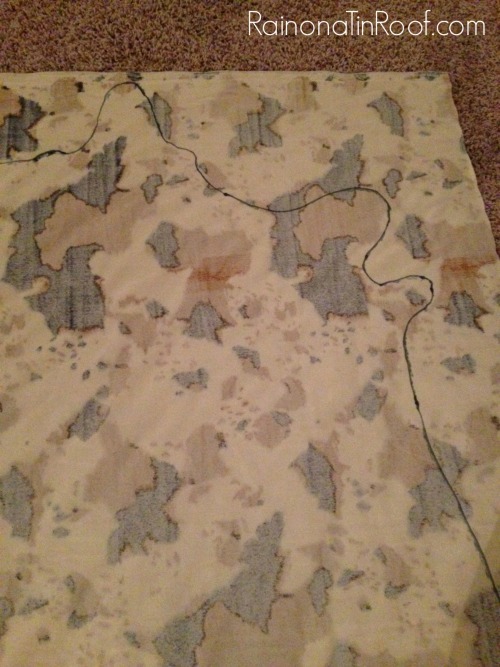 Faux Cowhide Fabric – I used this one. Lay out your fabric, front side facing down. My fabric was 62 inches x 59.5 inches. Pull up a real cowhide rug that you like online (I just did a Google search for one). Use the photo from online to sketch out the shape on your fabric – be sure to do this on the back! I would suggest doing this with a pencil, a real pencil, not a mechanical pencil. I didn’t have a real pencil on hand, only a mechanical pencil and that didn’t work, so I used a black marker. Once you’ve got it all sketched out, cut it out with sharp scissors. If you plan on putting this in a low traffic area, you could flip it over and stop right here. But, if you plan on putting it in a higher traffic area, you want to protect the top of the rug from dirt and easily tearing. To protect mine, I flipped it right side up, stuck cardboard gift boxes under it, and rolled on a couple coats of Polycrylic. I let it dry for a couple of days, then put it in my vintage-modern-rustic living room where it fits in perfectly. 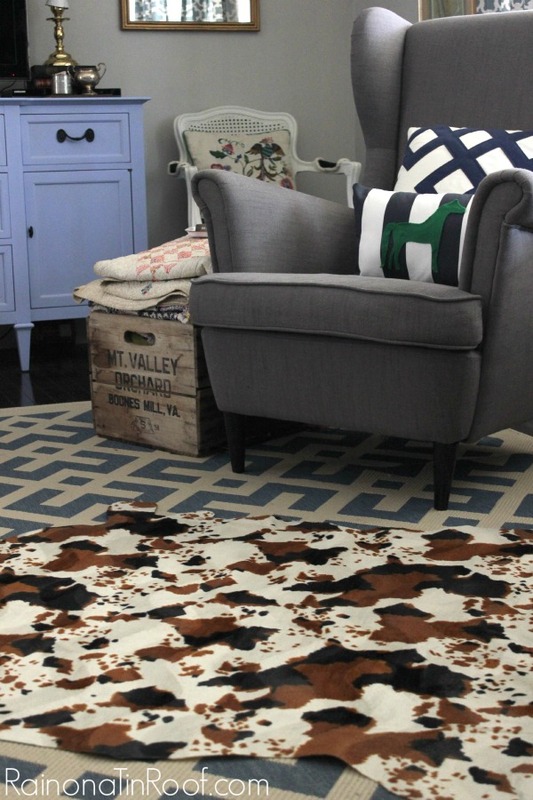 What do you think about our new faux cowhide rug? I think it should work until the uncle comes through. Love a great rug hack? Be sure to check out these 14 painted rug hacks then! Want my trick for keeping rugs from sliding? Here here for that! Gosh, would you like a real horse hair blanket (including the mane) to go with your “cowhide” rug? I just found one in my late father’s basement and almost passed out when I saw the mane. 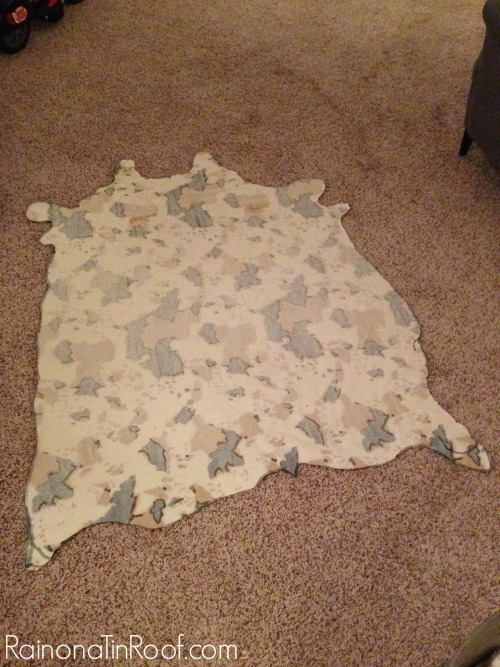 It made a great, warm buggy blanket, I suppose, but somehow it just didn’t seem right…. Wow, Phyllis, I’m with you on that one – it doesn’t really seem right! Such a cool idea! Love it! I’m gonna need one of these! So awesome you had enough fabric left over to make a fabulous rug! I just pinned! This needs to live in my office! Thanks, Angela! I know – I was psyched when I had enough fabric left over! 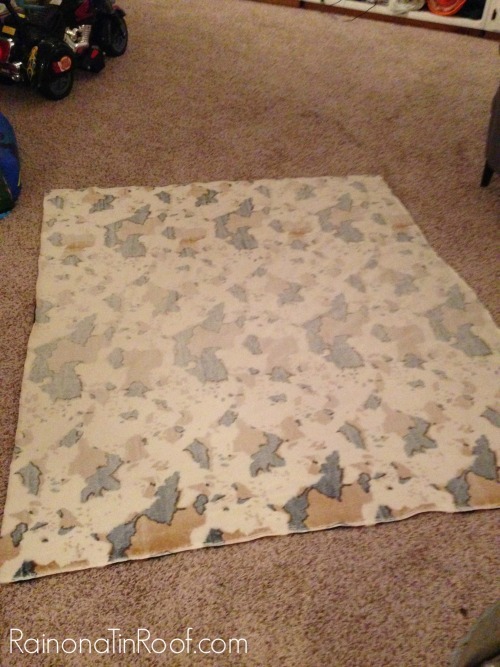 I want a cow hide rug too but Adam always tells me are aren’t those kind of people…what does that mean?? Anyway, you DIY one is something I think he could live with..and I could do! Trina, I don’t know what that means, but I would totally overrule it! haha! Make one and see how he likes it – Grunt Labor used to say something similar about the buck head in our living room and he has come to like it! Love some vintage Ace of Base! haha! 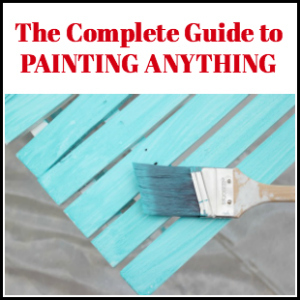 I could never paint one – I am just not that talented! Um, you’re amazing to make this out of FABRIC! Love it! No, Emily, as always, I’m cheap. Dirt cheap. hahaha! Thanks, gal! What a cool idea! Haha, I love Ace of Base! Thanks, Heather! I love me some Ace of Base too! Thanks, Erin. Yea, My brain is essentially a catalog of song lyrics! haha! Very cool, Jenna! I love it! Looks great…I would have never thought it was fabric! I wonder if you could sew/iron on backing to make it thicker? You got me thinking about possible rug options in my house now. I totally think you could do that, Ashley! Thanks, Robin! You are totally boosting my ego by like a million with all your sweet comments!